Join Fritjof Capra and explore the new systemic conception of life at the forefront of science and its application in economics, management, politics, design, medicine, and law. This course will give you the conceptual tools to understand the nature of our systemic problems and to recognize the systemic solutions that are being developed by individuals and organizations around the world. Registration for the Fall 2019 Capra Course opens on July 15, 2019. The course begins on September 25, 2019. 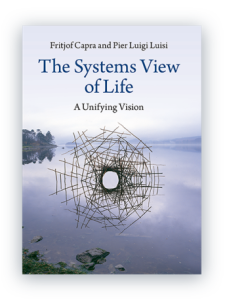 Capra Course is my new online course, based on my textbook The Systems View of Life, coauthored with Pier Luigi Luisi and published by Cambridge University Press. This course is the realization of a dream I have had for many years. I hope that it will serve as a model for similar multidisciplinary courses at universities, colleges, and other institutions of learning. This course consists of twelve pre-recorded lectures, with one new lecture being posted each week. Each lecture is about 40 minutes long and is supplemented with downloadable written and visual materials. The course includes exclusive online discussion forums in which Fritjof will participate. All students will be able to fully interact both with Fritjof and other participants, posting comments and questions, and sharing materials via the course forums. The number of participants will be strictly limited to 200, to allow high-quality interactions in our discussions. The fees for the course are structured in three tiers, a structure that has been created in order to allow as many people to participate as possible, independent of their current incomes. Each lecture will have an associated Forum where you can post your comments and questions, and discuss the themes and ideas that Fritjof introduces, both with Fritjof himself and your fellow course participants. These discussions will help develop your systems thinking abilities in a multi-disciplinary environment with participants from a range of backgrounds and competencies. Participants are encouraged to post their own real-world case studies, projects and initiatives as well as insights gained as the course progresses. "I am amazed at how interconnected the ideas are coming from this course." "Thank you so much, Fritjof, I have been blessed by your course. It has been one of the most exciting and thrilling experiences of my life. Not only have I been taught by one of my heroes, but also the knowledge has arrived in a very important stage of my life when I am seeing and understanding things that have brought new perspectives and new understandings." "Fritjof, thank you for this learning journey, from evolution, to cognition, to social systems, to ecology. You have brought some of the best minds and theories into a coherent synthesis, and a unified systems view of life. I also liked that you honed in into the central challenges for our times, such as confronting global capitalism, its pursuit of quantitative growth, and its lack of ethics... Our challenge as graduates of this course and as a cohort is to take the knowledge from this course and put it into action, for us to act as leaders to bring forth a sustainable, just and flourishing world." From the beginning of planning the Capra Course, one of Fritjof’s goals has been to, eventually, build up a global network of individuals and institutions who explore, practice, and teach the systems view of life. All participants from each Capra Course will automatically be given access to the Capra Course alumni network which will allow you to carry on conversations not only with your current group of participants, but also with those people who have already participated in other versions. Want to stay updated on the course? Don't miss your opportunity to get involved!